Three years ago I was planning our wedding (I am married to the very handsome Mr James Payne, flower boxer-upper extraordinaire, wreath deliverer, studio builder and general all round super hero of TSGC…) My son has special needs and over the years has needed some expensive old medical care/speech therapy to name but a few of the extra costs we face. I couldn’t justify a hugely lavish wedding although I did want a gorgeous wedding, so we decided to do as much as possible ourselves. We bought hundreds of lillies very cheaply and arranged them all the night before/on the morning of the wedding. However I realised I would have some sort of Bridezilla breakdown if I tried to arrange all the flowers right before the wedding! So I decided to search for totally convincing artificial flowers which would look fresh and striking but could be prepared in advance. I designed and made pew ends, button holes, corsages bridesmaids bouquets, flower wands and large arrangements as centre pieces. I LOVED every minute of it! Creating with the artificial flowers is a lot like my old sculpture work: its mostly the same skill set. It seemed to come naturally to me. No one could believe they weren’t real! Here we are in the evening stood by this HUGE stone urn I hired for £20 and filled with star gazer lillies, we had kept in our bath the week before the wedding in various degrees of light to get them perfectly open! Its in the background here so you can’t see it to scale but it was massive and had great impact. You need scale to make an impact at weddings, scale and repetition, in this case the lillies en masse. I kept some of our artificial flowers as unique keepsakes of the wedding and gave a few out to family and friends who still have them to this day. 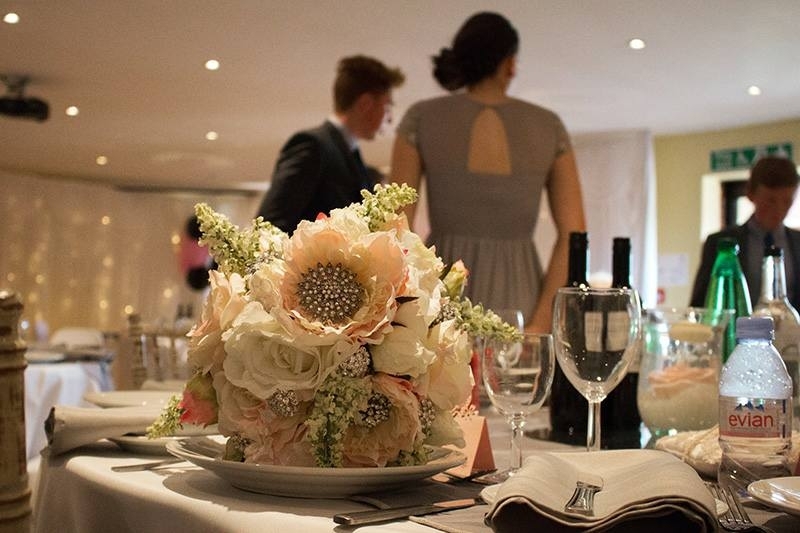 The lovely thing about luxury artificial wedding flowers is the memories they bring back every day. There’s something so magical coming back from Honeymoon to your Wedding bouquet still looking perfect or hanging your wedding heart wreath (which is in most of your wedding photo’s) above your bed now that you’re Mr & Mrs! They really do make a great visual impact on the big day and in your home afterwards. After our wedding I sold a whole bundle of leftover items on FB and when the buyer arrived at the house they wanted some of the posies I’d made as well. Their enthusiasm led me to list the remainder of the posies on FB too. I decided to use the left over flowers to make up more little posies and sold them via FB (where demand exceeded supply) but this time I specifically bought some more flowers with the objective of making up bouquets to sell. This was our first real trading but we didn’t take it very seriously, just a hobby which paid for itself really. I set up a separate FB account so my private friends weren’t inundated with flower pictures, and called it Posies online. There was quite a bit of interest and in the end our wedding flowers virtually paid for themselves. It was a really great hobby because I enjoyed being creative again. 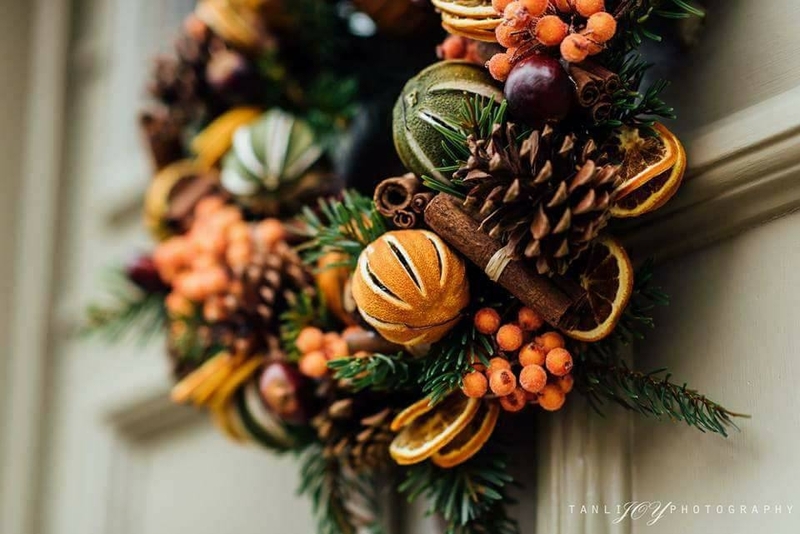 By October I thought that no one would be interested in wedding flowers anymore so I asked my husband to get our Christmas decorations down from the loft… The previous year I had bought some shamefully expensive garlands to go up and down my bannisters. They were the best quality artificial spruce I’d ever found and everyone who’d seen them the Christmas before had thought that I had bought boughs of huge Christmas trees and woven them up and down my staircase….they looked gorgeous! I had planned to keep them for years but I had an idea and when inspiration strikes, you need to act fast! Mercilessly I cut them up with garden secateurs and shaped them around circular plant supports from the garden! I cut up my Christmas ornaments to decorate these totally realistic spruce circles and half a dozen prototypes were born! 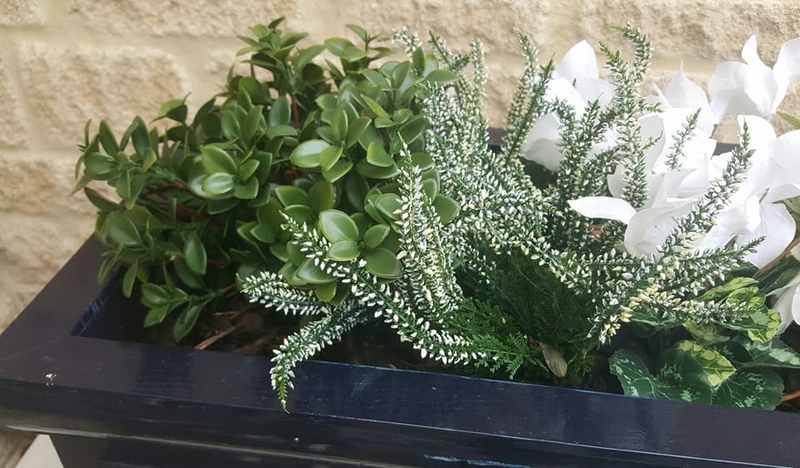 When I asked my husband if the faux greenery was convincing he said “ utterly convincing” and that has been our bench mark ever since…..they must appear as fresh but perform as artificial, after all, who wants to spend upwards of £75 on a wreath which lasts a week? 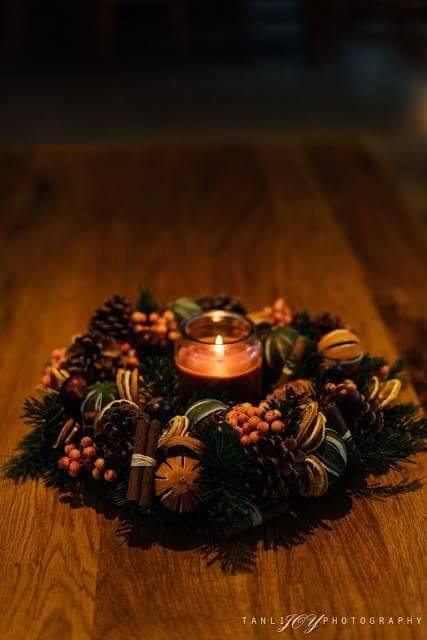 Surely better to invest in something which will stand the test of time…..
That year we made about 25 simple wreaths and sold them on FB and my son’s school Christmas Fair. I had collaborated with another maker and bought lots of felt animal stocking fillers to sell at pocket money prices. I managed to break a bone in my foot and another stall holder kindly agreed to sell my things too in exchange for a wreath. Boy did she work hard! 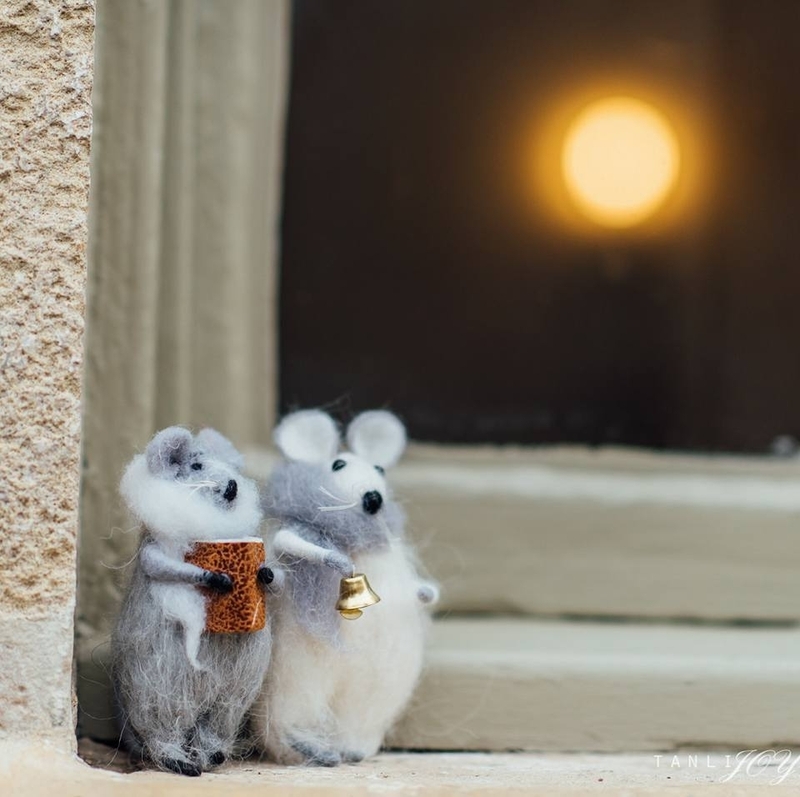 A message came back: ‘need more mice!’ They had sold out! From then on the magic formula seemed to work: We’d attend school and church Christmas Fairs with the wreaths for sale (and later to order as well) and the more affordable hand made felt animals so there was something for everyone. James would drop me off and unload everything, take the children for a look round and pick me up at home time. People would see I had a family, we were a team, everything was handmade, good quality, they were items you just didn’t see in the shops…. it just took off! It was an awful lot of work but at the same time, at every fair I saw people who had worked just as hard, had great skill, lovely items, but there just wasn’t the interest from the public unfortunately. I’ve always realised how lucky we were to have each success. I’ve always been aware of the risk we were taking. There were what seemed at the time huge stock investments and I know my Dad was concerned that it was a risk with no guarantee of a return. We took the cash straight to a supplier of the best artificial spruce I’ve ever found and bought as much as possible. We armed ourselves with as much stock as we could afford because we realised at that point that we were on the verge of something quite big… I cant tell you how much money I spent on stock, it would upset my Dad! He was a war baby and can’t spend money without experiencing physical pain! I definitely have that trait, our pieces have to be value for money and I hate waste. I can’t bare the thought of someone spending fifty quid on a fresh florists wreath, to chuck it in the dustbin on boxing day. So the first fifty wreaths we sold were to other mums from my son Henrys school, (they are the best supporters) customers we met at the Christmas Fairs and then before long we were inundated with telephone and FB msg orders. James was delivering many of them for me and he said it was the best job he’d ever had! People were so pleased to see him! They were thrilled to receive their wreaths and apparently several mothers actually shoved their children out of the way, such was their hurry to get to their wreath! It literally just took off, I was making 3 wreaths per day (they take at least 3 hours to make each) and we were having to turn orders down as it just wasn’t possible to fulfil them in time for Christmas… so they started ordering them for next Christmas! This year I received my first order for Christmas 2017 on Boxing day 2016! 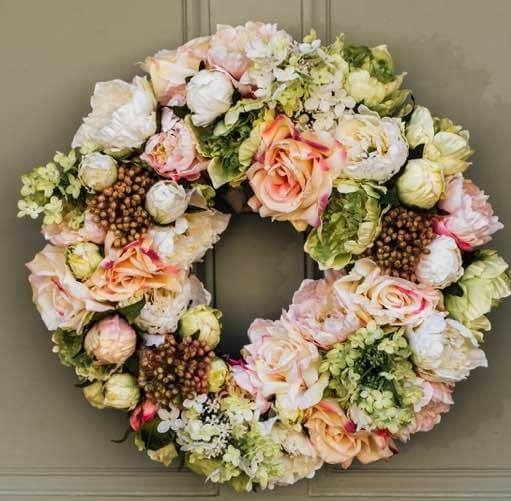 They’ve been spectacularly popular, but then I suppose everyone was throwing their fresh wreath in the bin the week after Christmas and they see ours looking as realistic as fresh ones but with the longevity of artificial… hopefully they vow to never again throw their money away along with a dead wreath! 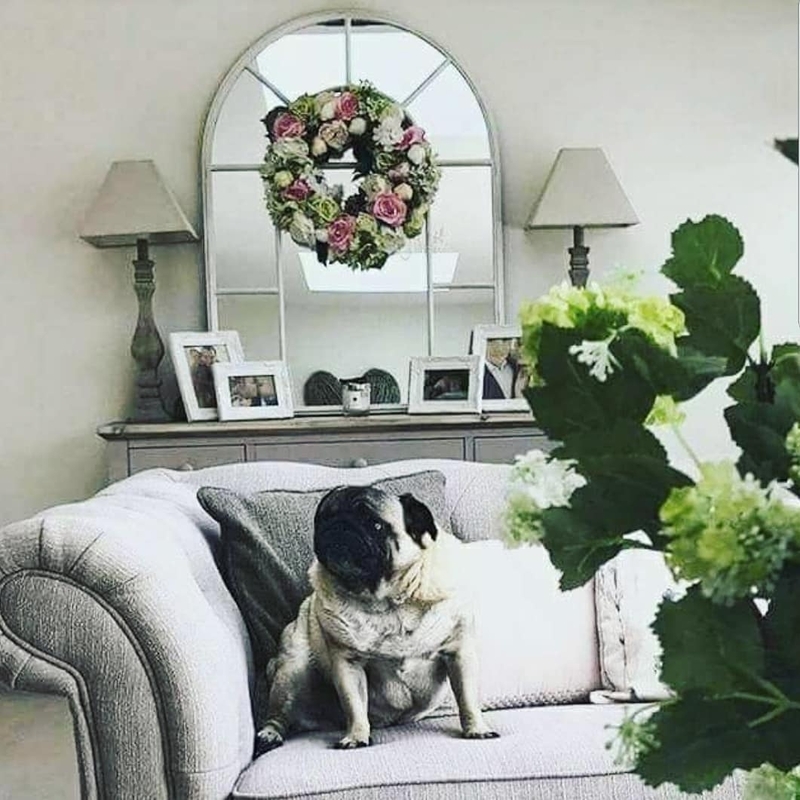 The wreaths aren’t just for weddings and are used at christenings, house warming’s, engagements and as wall art in homes and business. These wreaths also led to the stand alone arrangements as the flowers would arrive to make the wreath and I’d arrange them in a vase to keep them out of the way. I’d post some things about what I was going to make and people would message me to ask to buy those arrangements! We’ve been so fortunate how well received its all been. This arrangement work led on to our Bridal bouquets and wedding recreation work where we literally copy the brides bouquet from photographs and create her an ‘Everlasting’ version of it. 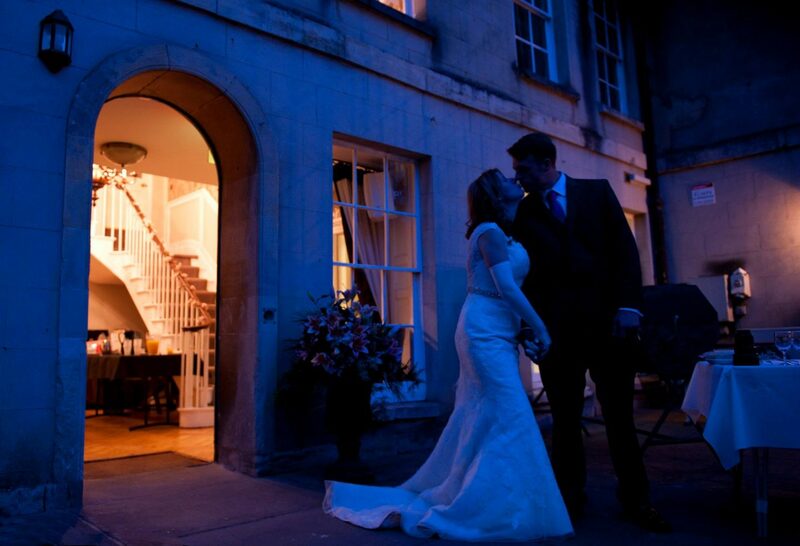 Above is one of my favourite photo’s ever by the talented Tanli and its at our favourite venue, Ingleside House, Cirencester. The photographer and venue are integral to our growing business. These large bouquets like the one above, in turn led on to corporate work and also ‘Everlasting’ plant work such as the one pictured below for an estate agents and also for residential properties. The luxury artificial plants are perfect for hard to water or partly unoccupied places or just spots prone to scorching so fresh plants just would not last. 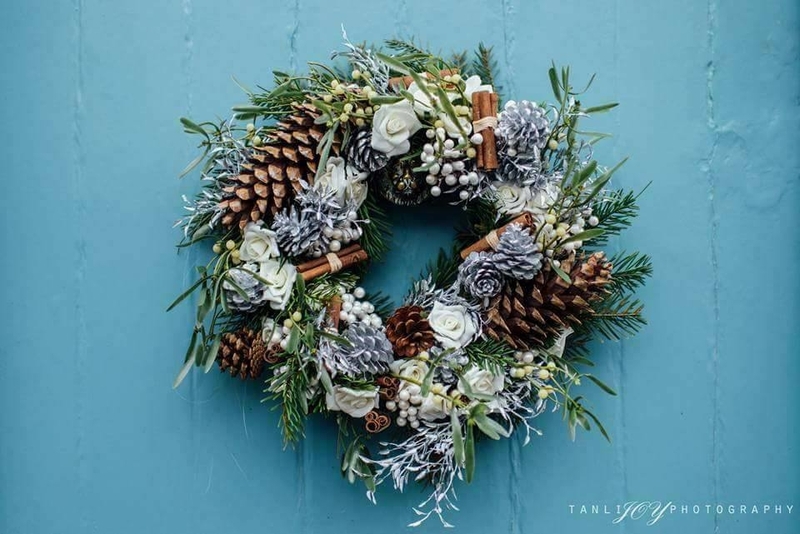 We’ve been very fortunate and had several ‘breaks’ such as an enormously popular Cotswold pub commissioning meters and meters of our runners and extra large wreaths which is great local advertising and lovely to supply my work locally. A local design and flooring shop took our wreaths and flowers on which led to a lot of custom. 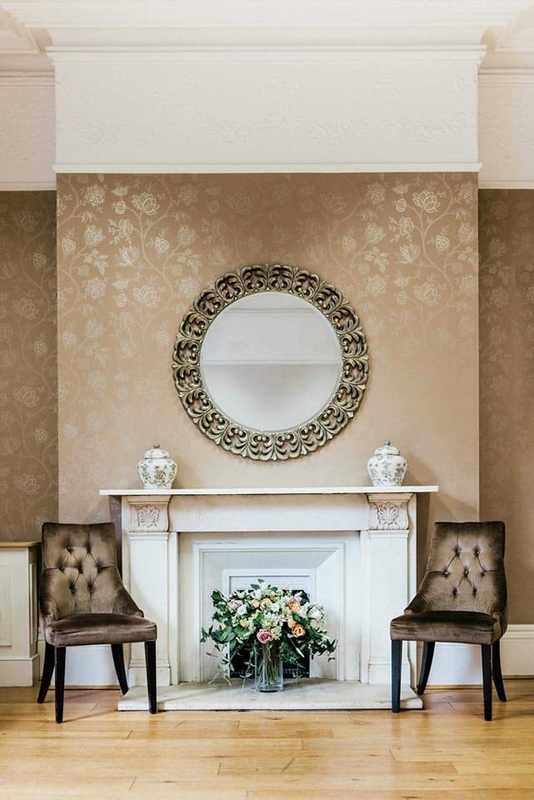 We were commissioned to create thousands of pounds worth of pieces for a beautiful period home. We were asked to decorate a sculpture for The Cotswold Hare Trail. We’ve collaborated with some very well loved names on Instagram and designed bespoke items for high profile homes. There’s more to tell but I can’t announce it just yet… Its been an amazing year with 200 orders so far this year with our busiest period ahead! Probably our biggest break was being approached on FB by the entrepreneurial Charlotte Valentine of @thehomethatmademe who suggested we try out Instagram. 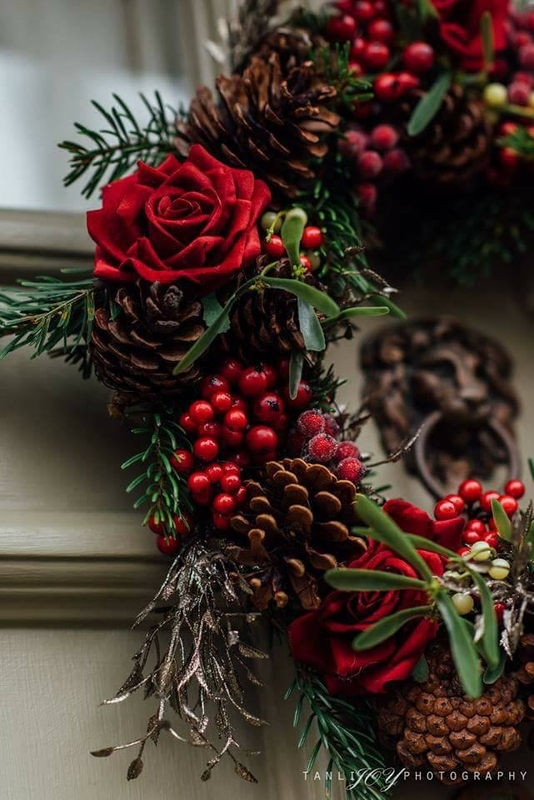 She had a wreath we created for her infamous console table mirror and posted the opening in her stories… I was not at all prepared for the reaction of her followers! Ping, ping, ping! There were so many new followers that they were recorded in terms of seconds ie new follower 40 seconds ago, 23 seconds ago, 7 seconds ago! It was crazy! We had over 1000 new followers in 24 hours!!! Charlotte has really helped us and we continue to work very closely with her on projects. She’s an inspiration and I admire her work ethic. We’ve recently completed a top secret mission so do check out both pages stories for the big reveal…! A brand new product will be revealed on her stories for the first time ever and we’d love to hear what you think. So now between FB and Instagram we have over 22k followers and we’re grateful for each and every one as without you all we wouldn’t be able to explore this passion of ours and meet/chat to the amazing people that have been brought into our lives. Flowers are used to celebrate, to commemorate, to congratulate, to commiserate. They are the public face of our emotions. 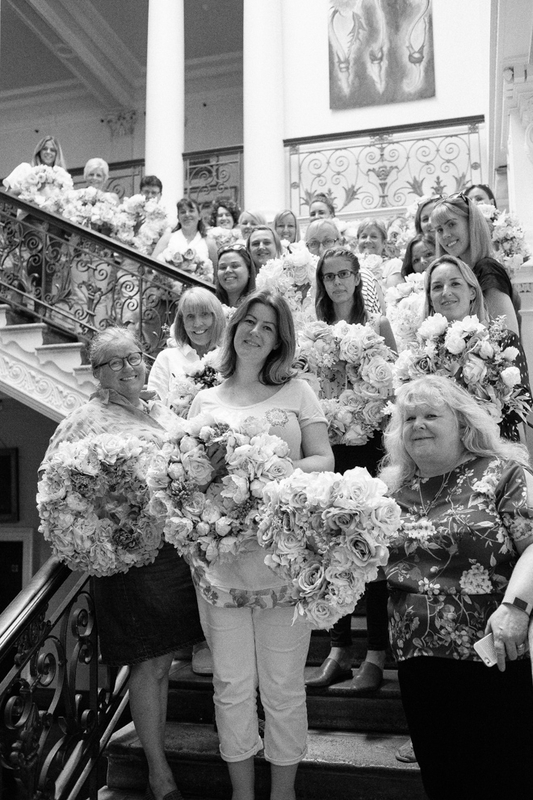 Its such an honour to be trusted with your Wedding flowers, the Christmas wreath you saved up to buy, the bouquet you’ve chosen your friend because she’s had her baby. These are your special moments and you trust us with bringing them to life. We value that above everything else. And that’s our secret.